Barb Russick from Millville, New Jersey!! Several quality products that are sold at Walgreens from the Boots No7 skincare and cosmetics line that were featured in my recent KTVK morning show segment. Items like my favorite Boots No7 Protect & Perfect Intense Serum that is made with ingredients like peptides and pro-retinol that work together to give younger looking, smoother and firmer skin. Barb wins the Boots No 7 Protect & Perfect Intense Skincare System Kit. I use this kit and the items work beautifully on my skin together. 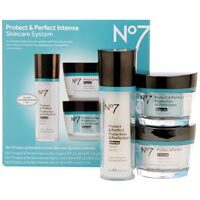 Learn more about the Boots No7 products at the Walgreens Boots No7 web page. Congratulations Barb and thank you so much for being a managedmoms.com subscriber. We appreciate it! 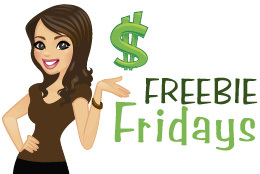 The awesome Boots No7 products were kindly provided for this week’s Freebie Friday prize. The opinions about how much I love the Boots No7 products are 100% my own.